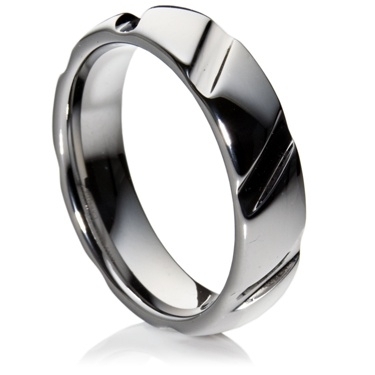 6mm tungsten carbide flat-comfort fit ring. The highly polished ring has diagonal grooves that run all the way around the ring. Unlike other metals it will maintain its polish for many years.